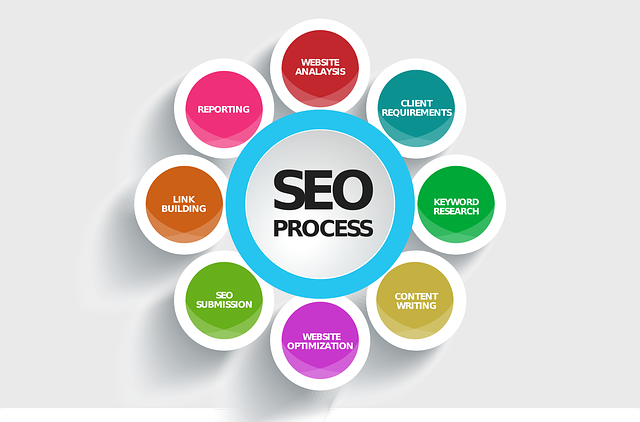 We begin the SEO process by implementing proper on-page optimization. On-page optimization is of essential importance when it comes to the SEO process and for having a website and its pages indexed favorably on search engines; it is the practice of proper web page development both for the written and visual content a reader sees as well as for each page’s meta tags and title text, code that is seen only by search engine spider bots that review and index registered web pages. On-page optimization encompasses several elements that make up a web page including the page title tag, page meta tags, the inclusion of header tags and page styles within a page’s body content, link optimization, image optimization and the appropriate targeting and implementation of keywords and keyword phrases. Learn more about on-page optimization here. Creative Developments can analyze every page on your site, making sure that each page is written to be SEO friendly; tweaking your copy text, labeling all of your images with alt tags and title text, renaming your links and page names to be SEO relevant. We can also optimize all of your web pages; add title text and meta tags reflective of the body content of each page so that they pass an optimization test such as the one found at http://www.seocentro.com/tools/search-engines/metatag-analyzer.html or at at: http://www.widexl.com/seo/metatag. Once all of your pages have been optimized we can then register your website on major search engines and as well as create and register a sitemap for it. A sitemap is a list of pages of a website accessible to crawlers or spider bots and site visitors. A clearly defined site map may increase the chances that your site will be indexed by search engines. The sitemap should reflect the full navigational framework of your website so that spider-bots may find and index all of your content. Learn more about sitemaps. Note: the initial results of registering an optimized website and its sitemap may appear within 2-4 weeks but it may take 4-16 weeks to show marked improvement on search engine result pages. Organic marketing, much like gardening, is a process. With time and patience, akin to a prize garden, the results of our labors should produce a sustaining presence on search engines and result in a positive return on investment. If you have ever done a Google search and the results page displayed a map with a. b. c. d. e., this is a Local Business Directory result (LDB). Creative Developments can register your website on several major local business directories such as Google My Business, Yahoo Local Business, Bing Local Business, Yellow Pages, Yelp and all of the directories listed at https://moz.com/local. Once your website has been developed, optimized and registered and your business listed in local business directories we suggest considering a comprehensive social media marketing campaign. This includes but is not limited to engaging on Facebook, Twitter, LinkedIn, Google+ for business and Pinterest. Social Media Optimization is a form of marketing that focuses on generating traffic and buzz via participation on various social media outlets. Social networks allow you to build large lists of contacts and supporters that may help spread the word about your business and website. There are literally hundreds of social networks and bookmarking websites available. At Creative Developments we offer several Social Media Management packages, each one tailored to the needs of budget of the particular client. Learn more here. YouTube is an excellent way to propagate on the web. When videos are not only uploaded but their pages optimized as well, the results are swift when it comes to being found on Google’s search engine. This is because YouTube is owned by Google and the two are tied together. As with any web page or post, every YouTube video uploaded should have it’s viewing page optimized to be found on search engines and treated with the same care. At Creative Developments we can set up your YouTube Channel, upload your videos, tag each video with keywords and create your video write-ups so that they show up via search engine queries. In addition we can label each video with your domain name and contact info so they may in turn lead viewers to your website and result in calls to your place of business. Learn more about implementing a YouTube video campaign.